Villa Borghese is a large 148-acre public park in Rome, north of the city center which contains a number of museums, several water features, a zoo, and other attractions. It is depicted in one of the movements of Respighi's Roman Trilogy. 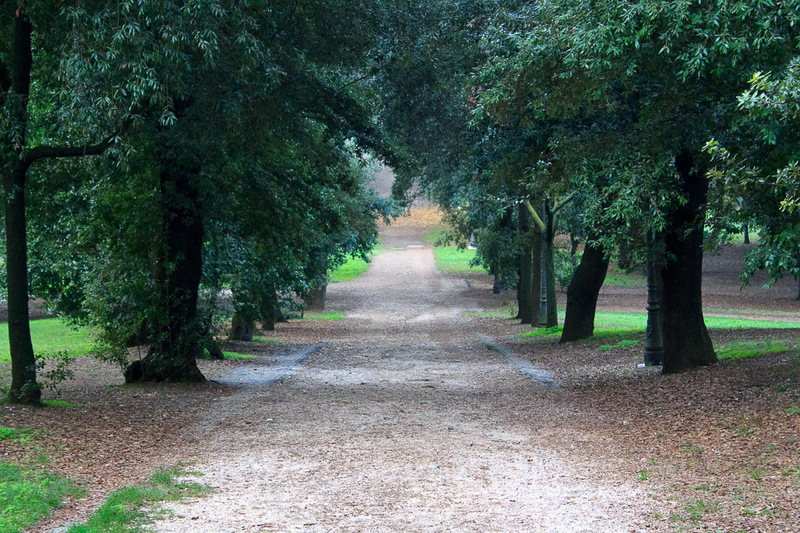 The park was once the private property of the Borghese family, but was donated to the public in 1903. The park cannot just be entered anywhere along its edge because it is surrounded by walls and fences, leaving only particular entry points. One of those entry points is on the eastern edge of Piazza del Popolo. Climb up the stairway that leads to the top of the Fountain of the Great Niche, and several roads lead out from this spot into the park. At this point you're on top of the Pincian Hill and the views to the west over Piazza del Popolo and Rome are spectacular. 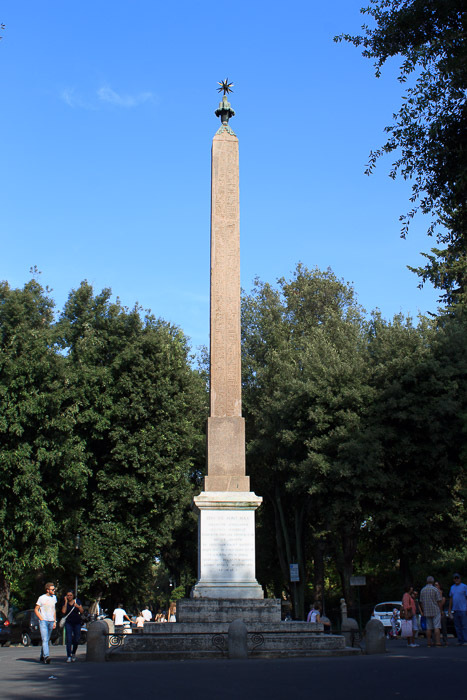 Nearby sights include the Pincian Obelisk and Villa Medici. If you'd like to rent a bike to see a lot of the park, one rental spot is beyond the Pincian Obelisk. Just continue walking on Via dell'Obelisco to Viale dell'Orologio (the last road before the busy Viale del Muro Torto) and turn right. In a short way is a merry-go-round with a bike rental next to it. 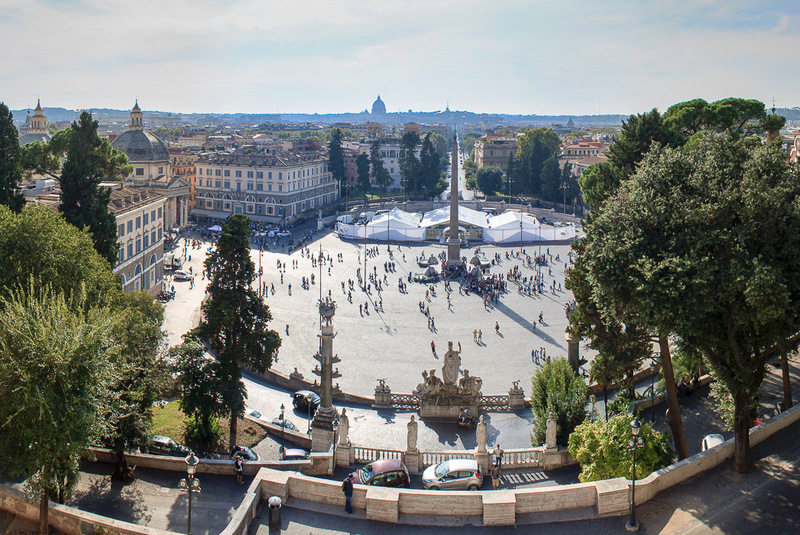 If instead you walk north from Piazza del Popolo along Via Flaminia, you can enter the park along Viale Delle Belle Arti or Via di Valle Giulia. This puts you near the National Etruscan Museum, housed in the Villa Giulia, and the National Gallery of Modern Art a bit beyond. At the southeastern edge of the park, Via Veneto enters the park through Porta Pinciana, a gate in the Aurelian Wall. Further to the east, Via Isonzo enters the park near the art museum named the Borghese Gallery, which is a must-see in Rome. 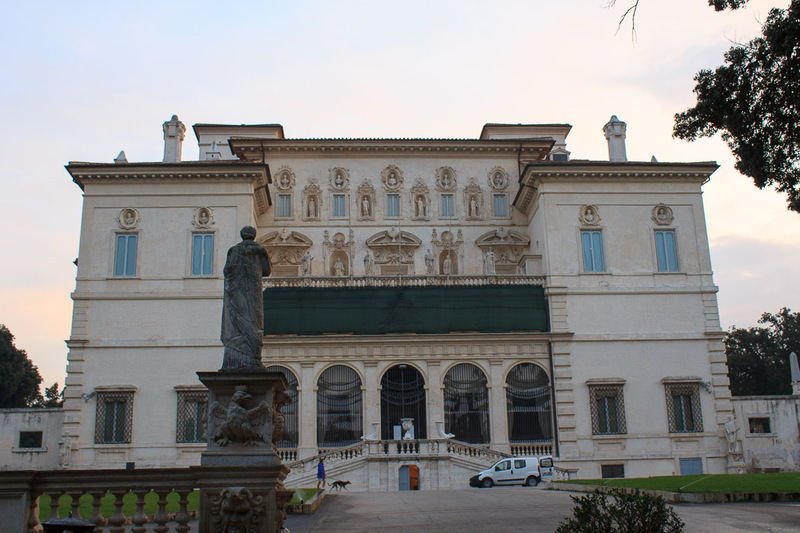 See all Villa Borghese photos.